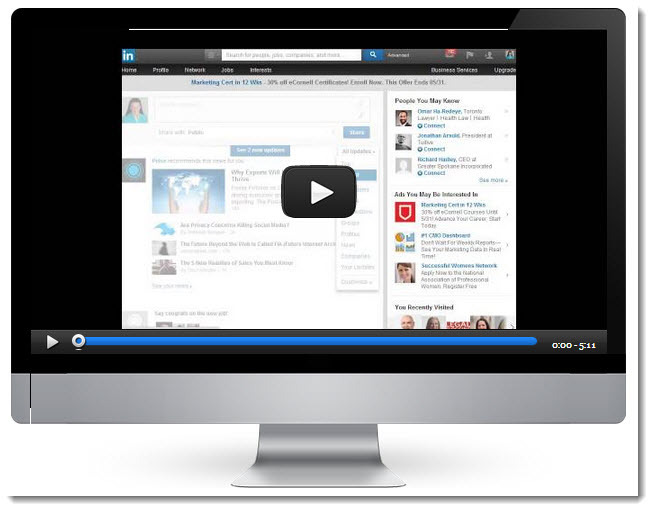 It’s time to take control of your LinkedIn newsfeed. Remember when you first discovered that Facebook started deciding what you would see in your Newsfeed? Well, it is now happening on LinkedIn, too. You need to check your settings on a regular basis because the LinkedIn default might not be what you would like to see. Take a moment and watch this video I made for you so you can see exactly what to do. Which setting will you use? If there are any other topics you would like to see me cover, please let me know in the comments below. Nancy Myrland is a Marketing and Business Developmen t Plan Consultant, and a Content, Social & Digital Media Speaker, Trainer & Advisor, helping lawyers and legal marketers grow by integrating all marketing disciplines. She is a frequent LinkedIn, Twitter, and Facebook for Business trainer, as well as a content marketing specialist. She helps lawyers, law firms, and legal marketers understand how to make their marketing and business development efforts more relevant to their current and potential clients, and helps lead law firms through their online digital strategy when dealing with high-stakes, visible cases. As an early and constant adopter of social and digital media and technology, she also helps firms with blogging, podcasts, video marketing, and livestreaming. She can be reached via email here.